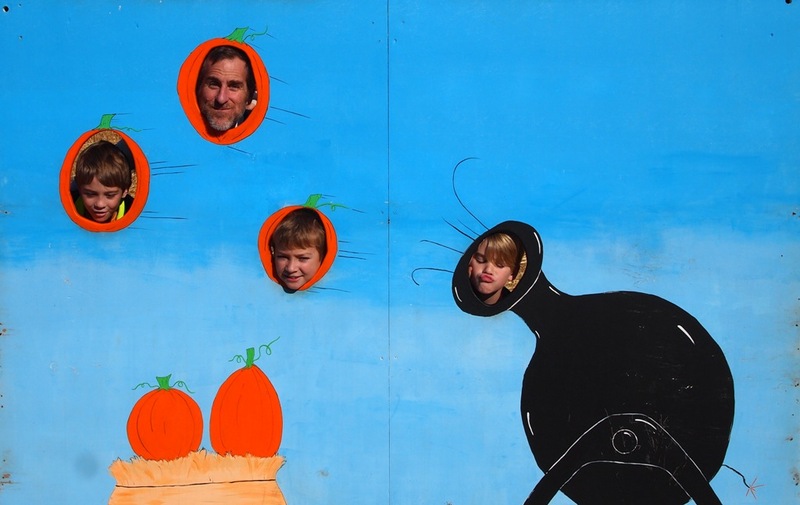 Fall fun would not be complete without a trip to the pumpkin patch. Not just any pumpkin patch, we drove 40 minutes north to Green Bluff – where we had summer fun picking peaches and berries – to visit one of the many farms that sell pumpkins, Knapps, www.knappsongreenbluff.com. 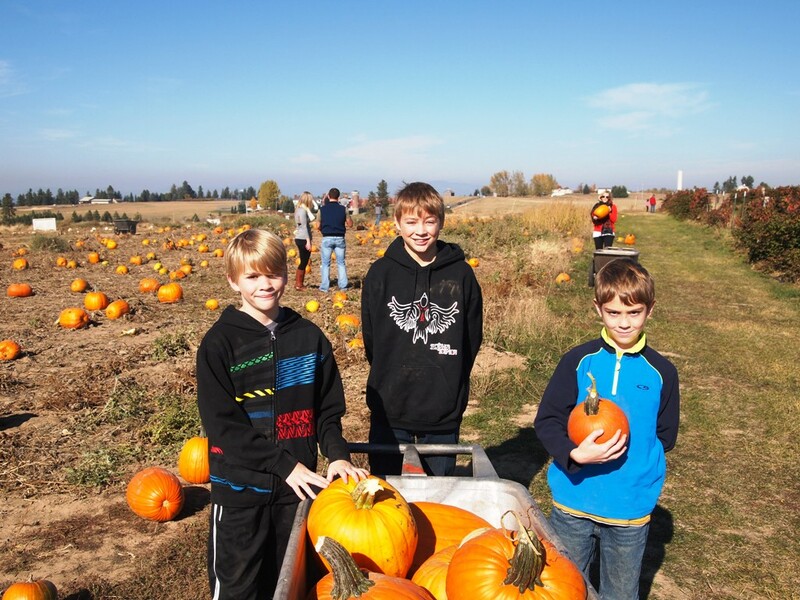 Knapps was recommended to us as a local family favorite for one reason and one reason only – pumpkin chuckin’. New to pumpking chuckin’? Us too. Pumpkin chuckin’, as it was explained to us by our neighbor, is where they shoot a pumpkin out of a cannon every half hour throughout the day. I can not tell you what an easy sell this was to Vince and the boys. We, our old dog included, piled into the car and headed to Knapps to witness this craziness ourselves. I had a full day planned, pick out some pumpkins, pick some apples, see the cannon launch, eat some pumpkin doughnuts, drink some fresh pressed cider and go home. We made it to the farm, without issue. 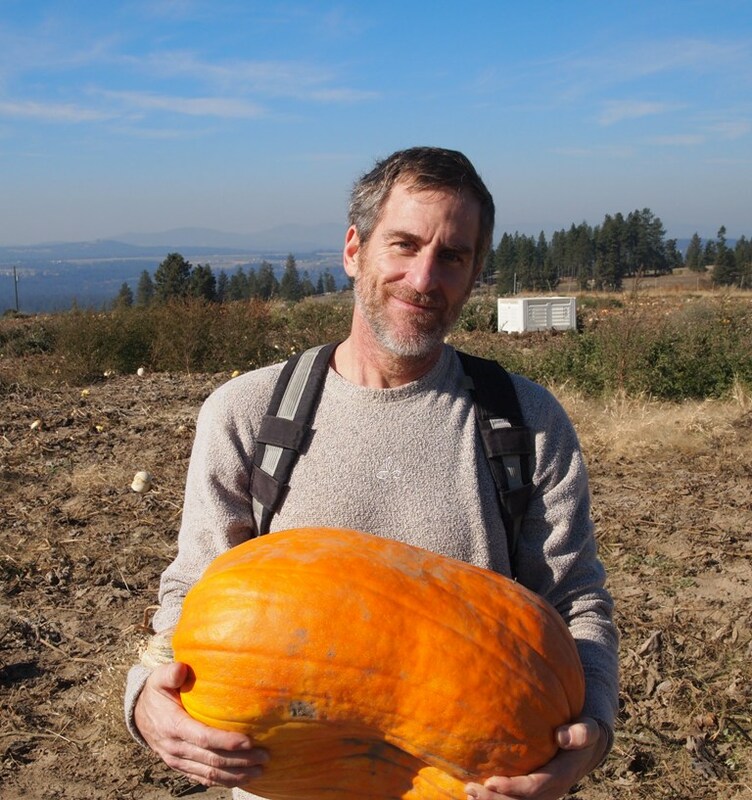 We asked the nearest employee for information and guidance on how pumpkin picking. We were given the option for “regular pumpkins” and “large pumpkins.” We opted for the large pumpkins. Vince had been filling the kids heads with the idea that an 1100 lb. pumpkin wouldn’t fit in the car. Here’s Vince with a smile and a pumpkin. 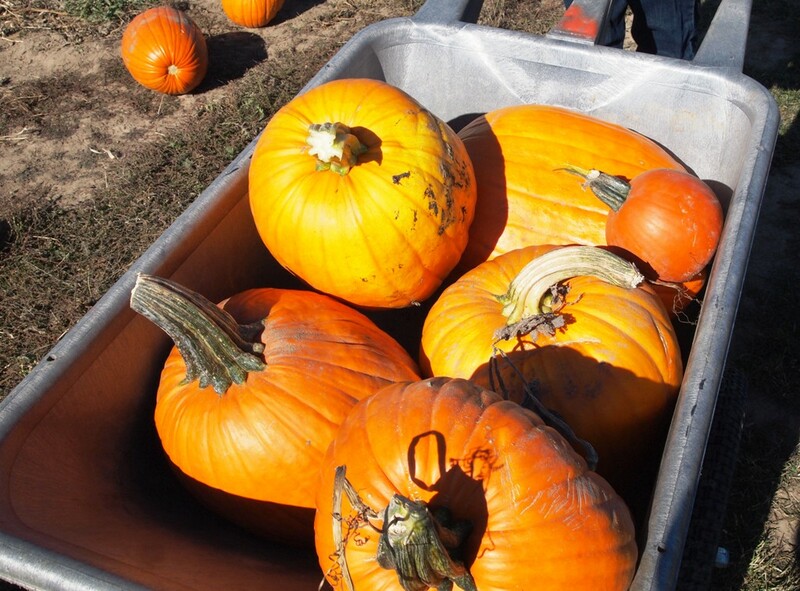 All told, we bought 168 pounds of pumpkins and a couple of gourds that are bird house projects for another day. This is how we support local farmers. This was not a U-Pick apple farm, so we decided not to pick up any apples this trip. We headed toward the main attraction, the pumpkin cannon. 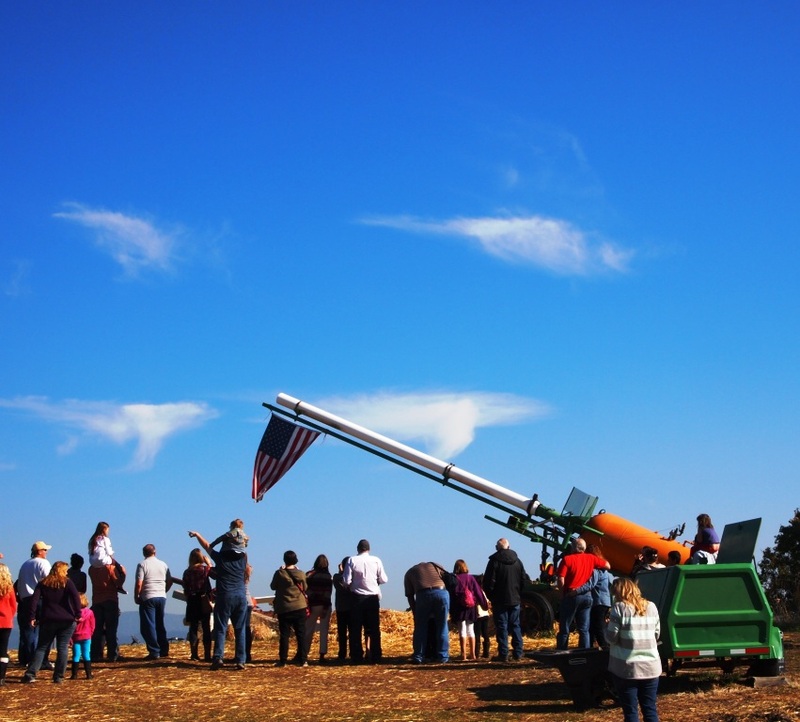 This launcher, we learned, has been in operation for eleven years, shooting pumpkins every day on the half hour throughout fall. The guy running the show told us that the safest place on the farm is the target because they haven’t hit it once, yet. He explained that this cannon is powered by a 500 gallon tank at 32 pounds of pressure. The pumpkin is launched 1500 yards out and incredibly high into the sky. There was even a plug for the local John Deere dealer who donated the tractor that raises the launch into position. This picture shows the cannon being raised, halfway to the desired angle. Pumpkin Chuckin’ is a thing. People do this all over the country. The guy told us to look up Pumpkin Chuckin’ Virginia to learn about a pumpkin chuckin festival that attracts people from all over with their personal pumpkin chuckers ranging from much larger cannons to catapults and sling shots. From now on when I think whatever I am doing is ridiculous, I’ll think of the pumpkin chuckers and know that I’m in good company. The pumpkin was launched and we all gasped and oohed and aahed at the incredible distance the pumpkin was blasted across the fields. Again, the target was missed. We had fun at Knapps and decided to check out some other farms in the area. That was the idea. The sunny skies and warm weather brought people in droves to the Apple Festival that was occurring down the road. Cars were lined up for miles to get to this event. Headed the opposite direction, we bypassed all traffic and headed home. We didn’t get our apples, doughnuts or cider, but we did get some giant pumpkins, had some good laughs and made some great memories. We also witnessed and learned a little something about pumpkin chuckin’ too.